Product, Location, or any other kind of personal experience that we want to share. Opinions are those of the author and commentators. 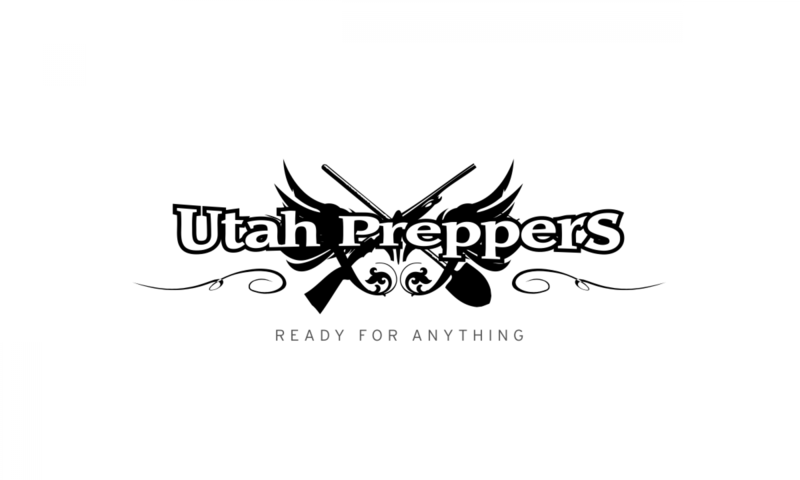 Here at UtahPreppers we try to keep an eye on prepping topics, trends and products from all over the country and often the world. Even though we try to keep a global focus we still like finding and supporting local businesses that fit into the prepping niche. We recently met up with a Bluffdale company to take a look at some of their innovative solar products. This post is cross posted from my blog. Ever wanted to find a powdered milk that tastes good? You’re not alone. So just in case you don’t want to go through the expense and hassle of trying out every kind of powdered milk you can find, read on. I did it for you. Last night a few prepper friends and I went to the midnight opening show of the new survival/TEOTWAWKI movie 2012. I wasn’t sure what to expect as I had already heard that they had blown it or that it was really bad. But I figured even a bad movie can be enjoyed (through mocking) if you’ve got a group of friends with you! 2012 really has very little to do with survival. You won’t walk out of it with ideas or inspiration of things to add to your preps. In fact, the scenario that the movie presents is pretty much total un-survivable destruction regardless of who or where you are. It is however a bit about surviving based on your wits with 20 gallons of luck! With the high-capacity water tanks from our group buy delivered and installed, it’s time to publish a review. I am excited about the number of individuals that are now substantially more prepared with water for their families. Water storage is a difficult part of the preparedness puzzle. Water takes up a lot of space and most of us don’t have much. Considering shelf-life, convenience for access and use, ease of rotation, and best utilization of space, I know of no better solution for water storage however, and would strongly recommend the SureWater tanks as a foundation to your efforts. This review will cover receiving, unpacking, assembling, and filling the tanks during which I will summarize the features and mention pros and cons. While some individuals ordered the 525 gallon tank, my review will only cover the 275 gallon. In a previous post we introduced the concept of burial or sinking to disguise or otherwise hide equipment, weapons or other preps. Today we will take a first look the MonoVault line of products by PolyFarm of Meridian Idaho. Recently, some of the Utah Preppers authors met at the Crossroads of the West Gun Show in Salt Lake City. This is where we first met PolyFarm. After some discussions to learn about their production, they were kind enough to provide us with sample of one of their smaller MonoVaults to review and to beat up with some tests. I really like the idea of the product so I purchased a couple larger sizes so that we will be able to review several different sizes. As you work to build your short-life food storage, you should begin to consider techniques to help extend the shelf life of your food. The longer it will last, the more you can store. In addition to freezing, dehydrating, canning, smoking, pickling, and storing in a dark, cool place, simply removing the oxygen from food will make it last much longer. I purchased the Berkey Light water filter a few months ago. When I made the purchase I also had the option of getting a free accessory. I decided that the portable sport bottle would go well in my 72-hour kit (Bug out Bag). This is the second of a number of preparedness related book reviews that we are planning. See our first review on One Second After. If there is a specific book or other resource that you would like us to review, please tell us in the comments. You should also review our preparedness bookshelf post for some other titles that you may want to check out yourself. For this review we are trying something a little different. Nearly all the authors on this site have read this novel, often in several editions so several of us will be offering our thoughts on this most recent edition. Welcome to the first Survival and Disaster Preparedness Blog Carnival. I would like to thank everyone who took the time to submit their work. I had a lot of fun looking over all the entries and learned a thing or two in the process!